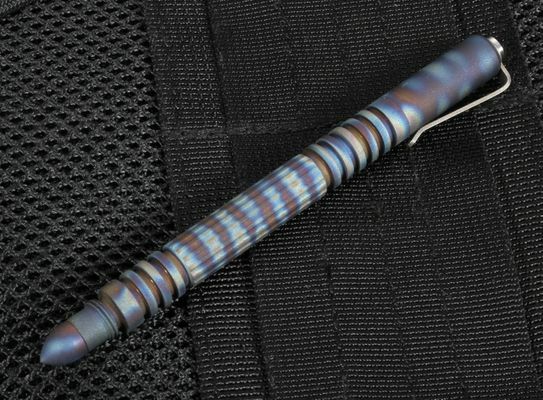 If you are looking for a pen that writes prose as easily as it provides protection, then a pen from the Investigator Pen series by Rick Hinderer, a brilliant tactical knife designer, is just what you need. You will find that the Investigator Pens provide a discreet way to carry a tough tactical pen that offers self-protection. Hinderer has a knack for offering durability, reliability and comfort all in one. 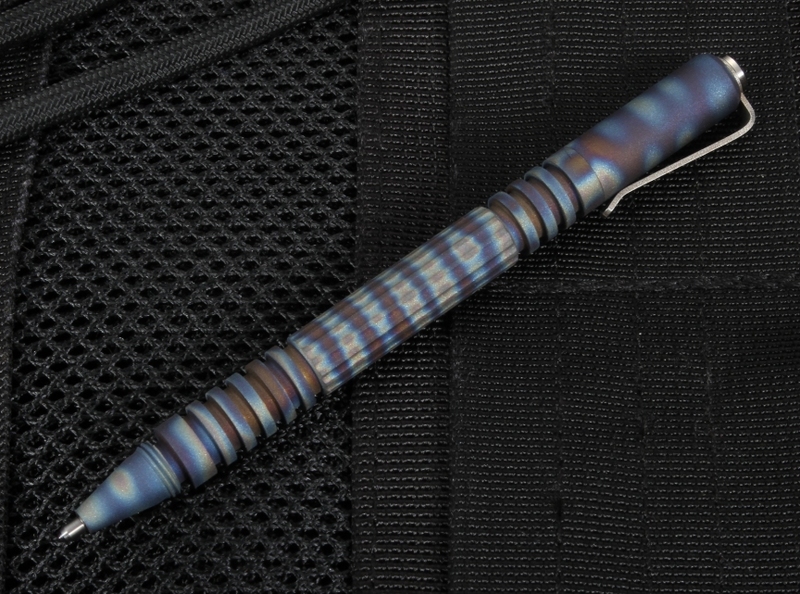 The Investigator Pens are small and sleek and at the same time offer an amazing firm grip in case you are in a close-quarters situation in which you need to protect yourself. With the cap on they are 4 1/4" long, 3/8" wide and weigh in at only 1 ounce. The grooves are perfectly placed and designed with both every day writing use and quick defensive moves in mind. 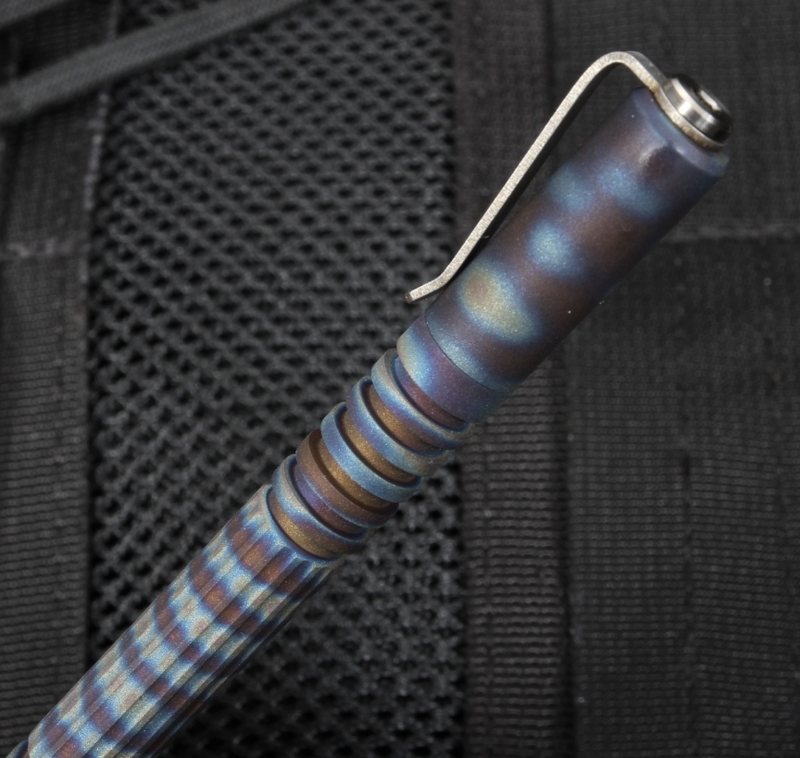 The pens can withstand hard strikes and abuse because of the course threads throughout which gives it extra thread height. 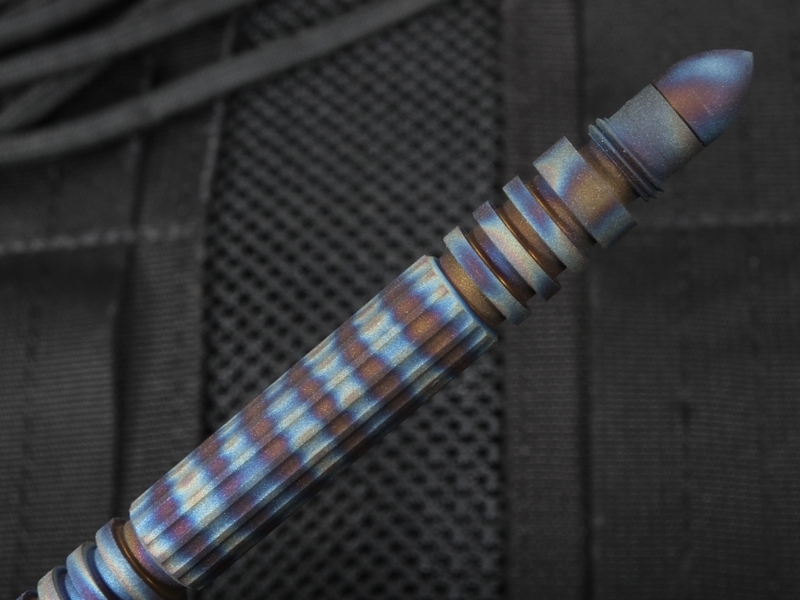 The use of CNC and CAD_CAM technology that is state of the art to design and manufacture these pens in the USA provides the superior quality expected of any Hinderer product. They have the modular design with a threaded bullet tip. 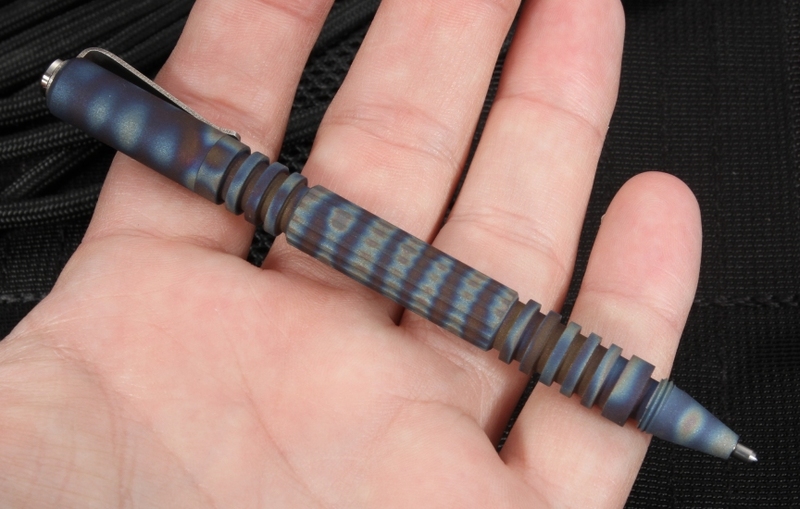 This one comes in ultra-strong titanium with a blasted grey finish. 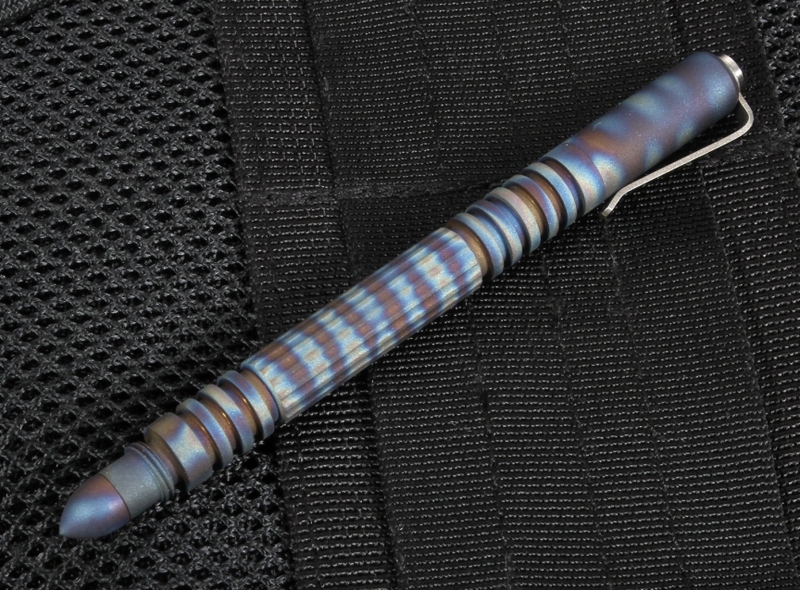 The investigator has a titanium clip for easy carrying rounds out these elegant pens nicely. These pens use the Fisher Space Pen Pressurized #SPR4B Black Bold Refill. If you have more than one Investigator Pen it makes it easy when it's time to order refills.